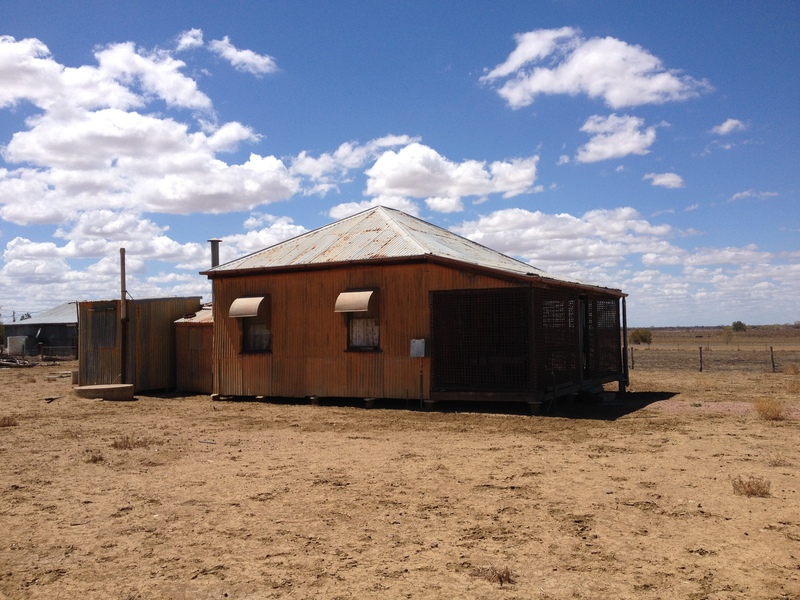 In the dusty back blocks of the tiny hamlet of Ilfracombe in central western Queensland sits a small house with a big story. Known as the Langenbaker House, this modest timber and corrugated iron dwelling is not only a remarkably preserved example of life in the central west from the late 19th century, but also of one particular family who called this place home for over 100 years. 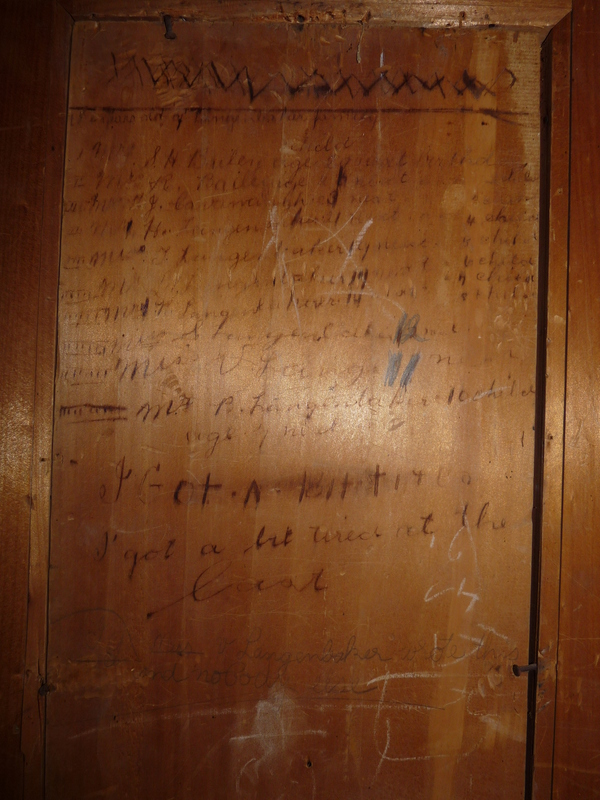 MDO for Central Queensland Melanie Piddocke recently had the opportunity to get to know the house, its contents and its previous occupants while making an inventory and condition assessment of the objects inside the house. Harry and Mary Ann Langenbaker were married in Barcaldine in January of 1890, when Harry was 31 and Mary Ann just 18. Harry was a teamster, earning his living transporting goods (especially wool) between the central rail line and outlying towns and sheep stations. Teamsters went where there was work, and when the central rail line was extended to Longreach in 1892, nearby Ilfracombe developed as a strategic place from which teamsters could operate. Harry and Mary Ann accordingly packed up their house and belongings and moved everything to Ilfracombe in 1899. By this time the couple had had five children, only one of whom had died in infancy, and were to raise six more in the tiny house. Once a common style of workers dwelling in the area, the Langenbaker House is now the only surviving example of its kind. It demonstrates once typical features of teamsters houses, such as the lattice work around the front and rear verandas, made from the iron hoops originally used to bind wool bales, and the easily dismantled and erected timber frame design. But what makes this house even more remarkable is what is inside. The last Langenbaker child, Bernard, grew up and lived in the house until his death in 1991, at which point the house and all its contents was transferred to the ownership of the then Ilfracombe Shire Council for preservation and interpretation for the public. The three family members who spent the most time in the house – Mary Ann and two of her sons, Leslie and Bernard – are most in evidence in the house as it is today. Mary Ann, reported to have been a “real lady…very dainty”, can be discovered through the copious amounts of needlework around the home and great care and thought given to window and table dressings. 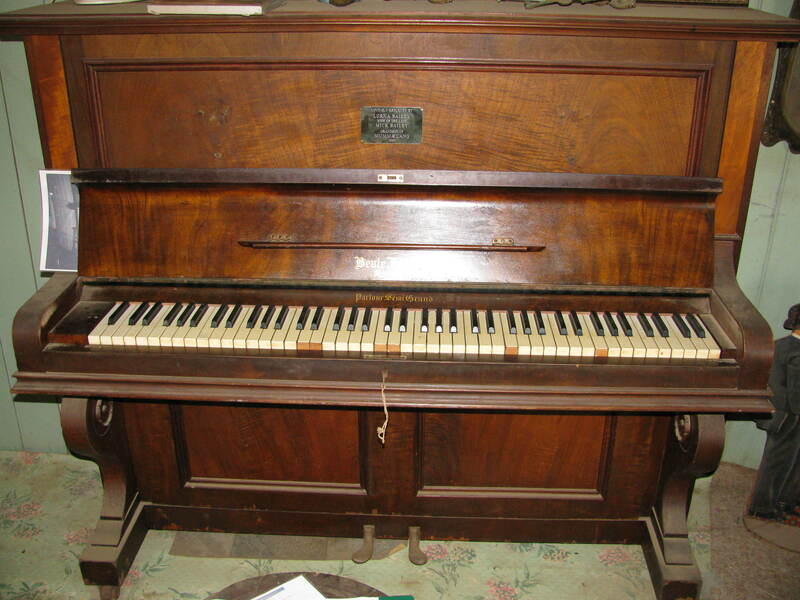 Mrs Langenbaker also taught piano to local children and provided the music for local dances to help supplement the family income, and her upright Beale piano still sits in pride of place in the living room. Most touchingly though, Mrs Langenbaker listed her children and their ages on the inside of her wardrobe door, at which time the eldest was 28 and the youngest just 6. She ends the list with “I got a bit tired at the last”. The relatively undisturbed quality of the house is largely thanks to Leslie Langenbaker, who became blind around the age of 17 as a result of a neurological injury sustained in a riding accident. From that time, furnishings were left unaltered to allow Leslie to find his way around. 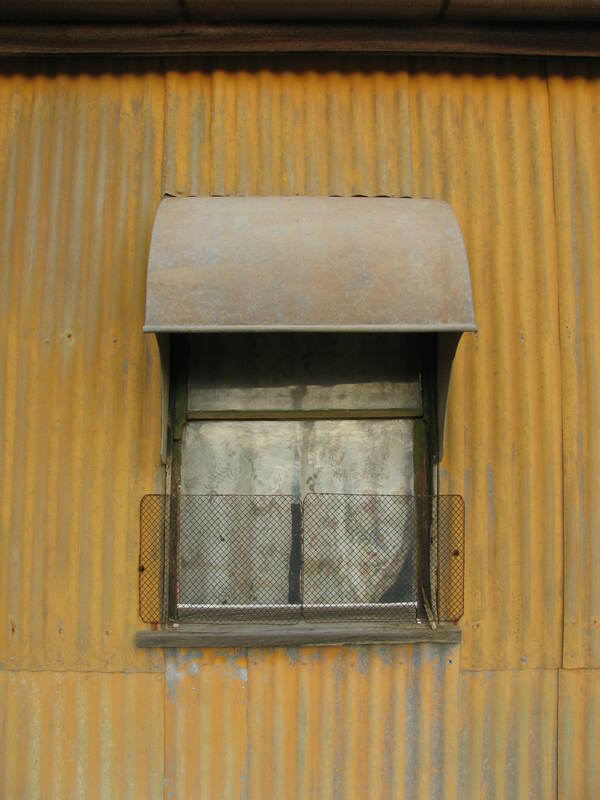 According to contemporary accounts, after his accident Les became afraid of the idea of people putting their hands through his bedroom window at night, so chicken wire was nailed across the outside of the window to put his mind at rest. This is still in place. Mary Ann Langenbaker lived in the house until she died at the age of 92, and is buried in Ilfracombe cemetery along with her husband and four of her children. While the Langenbaker House story is notable as much for its representativeness of ordinary life, it is at the same time about the extraordinary lives of women like Mary Ann Langenbaker who created stability for their families in a remote and challenging environment. Posted on 8 April 2015, in Uncategorized. Bookmark the permalink. Leave a comment.